Hard to imagine now — but Christopher Nolan's first conversations with Heath Ledger were actually about playing Batman, not the Joker. But Ledger told Nolan that "he'd never do this kinda film," according to a talk Nolan gave last night at the Film Society of Lincoln Center. 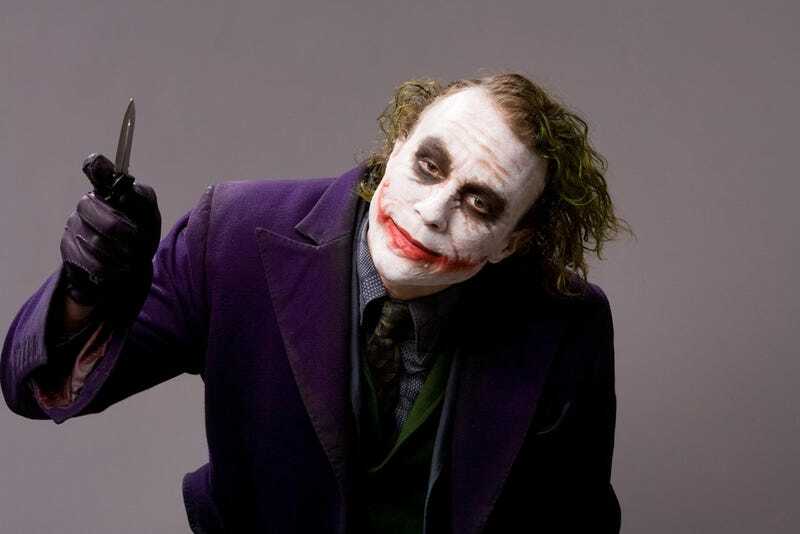 But by the time came that Nolan was casting the Joker, Ledger had changed his mind and was "hungry" for the role. Other details from the Nolan talk, via Gothamist: Nolan considered stopping after Batman Begins, and definitely wasn't thinking of the films as a trilogy — until a few months after Batman Begins came out, when he started thinking about the Joker card at the end of the movie, and who that antagonist would be in this version of Gotham City. Nolan also shared a super eloquent explanation of why he doesn't like 3-D (in a nutshell, it reminds you that you're watching a movie) and explained that his Batman was never about "realism," whatever that means, but about "relatability" and putting outlandish characters into our world.